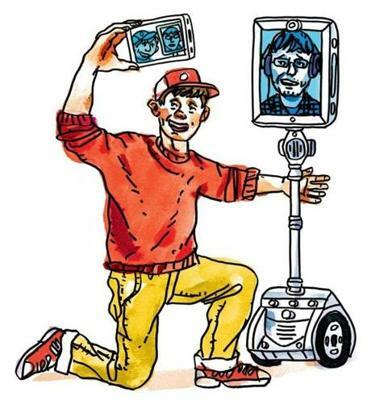 Recently the Boston Globe interviewed lab director Bilge Mutlu and researcher Irene Rae about the future of telepresence robots in everyday life. The author of the article, Leon Neyfakh, attended the Human-Computer Interaction conference in Toronto (CHI) using a telepresence robot, navigating with his lap top all the way from New York. The article, titled “My day as a robot,” can be found here.